The post Chongqing Major patch is here and brings with it a lot of changes. 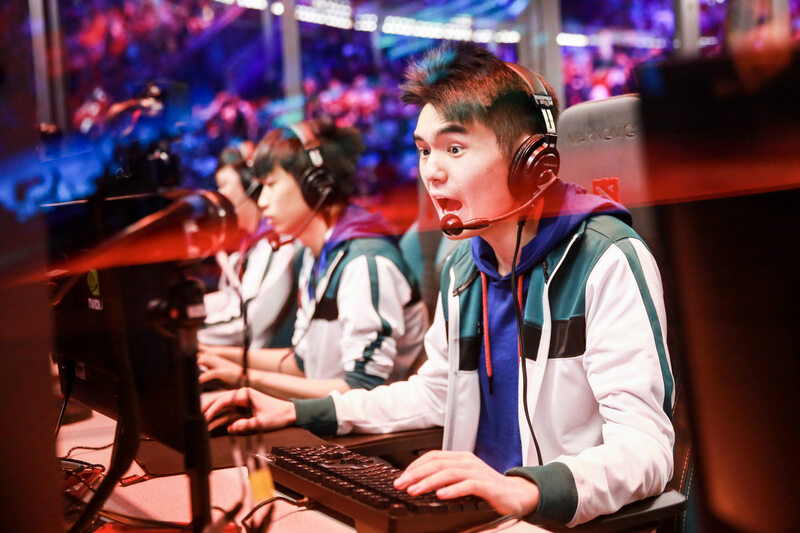 Following the conclusion of The Chongqing Major, Valve continued its typical development cycle by releasing the next big Dota 2 patch. Valve always times its releases to coincide with big Dota events around the world to ensure that an event won’t become a drafting nightmare for teams that are about to compete. By releasing Patch 7.21 in the dead period following the Major, Valve is giving players time to adjust their gameplan for February’s big tournaments. Overall, it seems like this patch is working to slow the game down. Instead of adding a lot of new features, this update appears to be trying to force players to play a slightly more active playstyle. The very first change noted in this patch is changing melee creeps to average less gold bounty given. Along with that, range creeps upgrade their gold bounty from +3 to +6. It feels like something changes about creeps in every update because Valve doesn’t like the emphasis placed on farming, but it still somehow comes right back to controlling them in the end. This change could make a big difference or none at all—we won’t know for a while. Replacing the primary jungles’ ancient camps with big camps doesn’t scream anything beyond a potential boost to jungle farmers if things work out. A 25-percent reduction to a hero’s primary attribute benefit is another attempt at lessening the effectiveness of stat items—something that the past few patches have been working toward. This was followed by the values getting a 15-percent increase to help mitigate the effects. A slight increase in how level up values work for levels seven through 12 will lessen the chances of one player or a pair of players going on an early tear through their opponents and shooting up in level too quickly. This shouldn’t be too major of an alteration, but it’s a nice quality of life change. Both the tier two and three towers along with the Melee Barracks have received increased armor to help better defend any high ground offensive that’s played against them. This, along with the Tower Protection buff for towers at tier two through four, will make it easier for reeling teams to mount a defense. A lot of items were unnerfed from previous patches, while others—mainly the early game go-to picks—saw the hammer come down and deliver some nerfs. Buckler received a decrease in armor bonus duration, now down to 15 from 25. This, along with the recipe cost increase from 600 to 750 for Crimson Guard, might cause a few early pick shakeups now that they aren’t as efficient, although they might need another hit before it actually happens. A few items that used to be based on a percentage are changing over to set increases instead. For example, Eul’s Scepter of Divinity switched from a six-percent movement speed bonus to a plus-20 flat increase. Mana style saw a nerf that will likely drop its usage down from the highs it was seeing over the past season, while Mask of Madness got a buff to try and do the opposite. Another item that was used a lot in the recent meta, Meteor Hammer, also received a slight buff in the form of an increased radius. Historically, this type of change means that people will just build it more now that it can provide more distance for heroes that are in combat or attacking structures—so this is definitely a change to keep in mind moving forward. The Nullifier and Phase Boots are among other items that got a little love from the developers. Nullifier will continue to be a late-game pick up after getting a duration increase from five to six, and Phase Boots not only got a slight buff to movement speed but also an increase to six bonus armor. Nerfs were placed on Sange and Yasha in the form of reduced movement speed. This probably won’t change their pick rate much, but it could slightly drop their viability. As always, there are two sides to an update when it comes to the heroes. In this case, it was pretty clear Valve wanted to focus more on buffing some of the lesser-used heroes while still handing out a few nerfs to try and balance some of the top picks. Take a look at the list of changes Io got, for example. Someone on the dev team must love that hero because some of these are insane. Being able to tether an enemy and sap their health and mana even when you don’t need some is one thing, but then doubling down and giving Overcharge and Relocate good buffs too is a little much. Io was already a character that most tournaments saw getting banned from the start, so the removal from Captains Mode is helpful to the scene. This will give teams a chance to actually use that ban on another character rather than just blocking Io indefinitely. But when he does eventually come back, that ban will probably jump right up to its original position. Arc Warden looked like he was going to be a stud after the first few tournaments following Patch 7.20, but that spotlight eventually moved on in favor of a few different heroes. The fast tempo at which most teams played with the longer 7.20 was out led to Arc Warden being dropped. With this patch looking to slow things down and the improved attack speed he got, players will have a much easier time building Arc Warden up. It also helps that Tempest Double is getting a boost in duration from 14/16/18 to 16/18/20, too. Chaos Knight might be making a comeback in the next installment of the meta if the pace does indeed slow down. His laning potential looks solid with a really good deterrent in the form of his Chaos Strike getting a cooldown reduction and an increase in damage. This is one of those characters that will probably pick up in usage once the meta settles and players have a better feel for what types of heroes work in specific scenarios. Look at old hats like Rasmus “Chessie” Blomdin over on The Final Tribe to see if anything will come from these changes. Post-International 2018 Night Stalker has barely been a blip on anyone’s radar. Patch 7.20 gave a little hope that he might surge in usage a bit, but nothing concrete came of it. Now, though, adding to his 7.20 buffs, Night Stalker has some potential to pop off with the plus 15 lifesteal replacing the cast range on his level 15 talent and his increased movement speed from Hunter in the Night. A few other heroes like Bane, Nyx Assassin, and Lycan all look like they got some good buffs, too. Dragon Knight also got solid buffs and is favored by the changes for melee-based characters. Chen is looking a little shaky after receiving a pretty significant rework. Divine Favor got significantly weaker in the later stages when it comes to dealing damage, and even with some durations and costs getting slightly better, the changes don’t look good for the solid hero. Dazzle got nerfed despite a drop off in usage, threatening to make the hero completely unusable in certain situations. A pretty substantial mana cost increase for Poison Touch will likely ruin what chance Dazzle had at maybe making a rise in the new meta. One of the big boys from the last patch, Grimstroke, also got hit by some heavy nerfs. A hefty decrease in damage for Phantom’s Embrace—down from 120/200/280/360 to 75/150/225/300—along with Ink Swell getting an increase in mana cost and reduced movement speed might cause some players to find greener pastures. Medusa got hit with a lot of changes that will hurt her usage. Mystic Snakes not being able to bounce to immune enemies is damaging, but the biggest area that will hurt Medusa is her level 20 and 25 skills getting nerfed. Now, instead of being able to get the plus 700 mana once she hit level 20 and then combining that with her Split Shot at level 25, players will have to choose between getting a big boost to their mana or Split Shot. This won’t make her unplayable, but her power in that level 20 range will be down. A lot of other heroes like Juggernaut, Sven, and Tusk saw hits that will hurt their relevance a bit—especially for a character like Juggernaut, who was in the top five in usage. While there weren’t any obvious character breakers, these changes will make the upcoming meta something new to watch. A full list of updates for Patch 7.21 is available on the official Dota 2 website.